There are many characteristics to consider when choosing the perfect rose for your landscape or garden. There is color, of course, but also fragrance, plant form, hardiness zone, and various growing characteristics, such as disease-resistance. And there are so many great varieties to choose from. The "About Face" rose has a bicolored flower with long stems and rich green leaves. This orange rose's lighter color of deep golden yellow is carried on the inside of the petals with a darker bronzy orange-red backside. 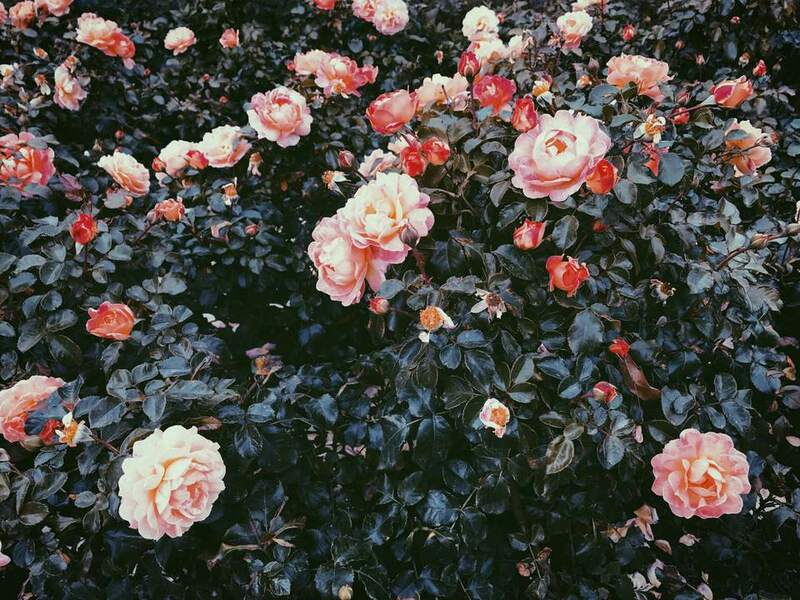 Scent: Smells like "mild fresh apple"
"Bonica" bears light pink roses on a shrubby bush. "Cherry Parfait" features a two-tone petal color scheme with white petals edged with red (red is the dominant color from a distance). It has dark green leaves. "Teasing Georgia" is advertised as a yellow rose but may end up looking more apricot in color. It is a repeat bloomer. "Easy Does It" offers a combination of colors: orange, pink, and apricot. But the overall effect is peach with pink highlights. "Easy Does It" bears a double, ruffled flower. "Falstaff" is a crimson color, double bloom rose that is recommended by rose breeder David Austin. The David Austin Roses calls "Falstaff" one of the best crimson/purple roses it has bred so far. "Tahitian Sunset" is an apricot-pink bi-colored rose that is as colorful as its name. It has semi-glossy, dark green leaves. "Rainbow Knock Out" is a single-blooming, but repeat blooming, coral-color rose. It starts out a deep coral-pink and ends light color to pink with a yellow center. The foliage is dark green and semi-glossy. "Interama" has a classic red rose color. It has an average-size flower, about 3 inches in diameter, and flowers in clusters. The "Julia Child" yellow rose was personally chosen by the award-winning chef with coloration she described as "butter gold." It has very shiny leaves. The "Mardi Gras" multicolor rose has festive coloring that is a ​mix of orange and pink with a bit of yellow. The bloom begins as an apricot-orange bud that slowly spirals open to reveal a 4-inch bright pink and orange bloom with a yellow base. It has dark green leaves. 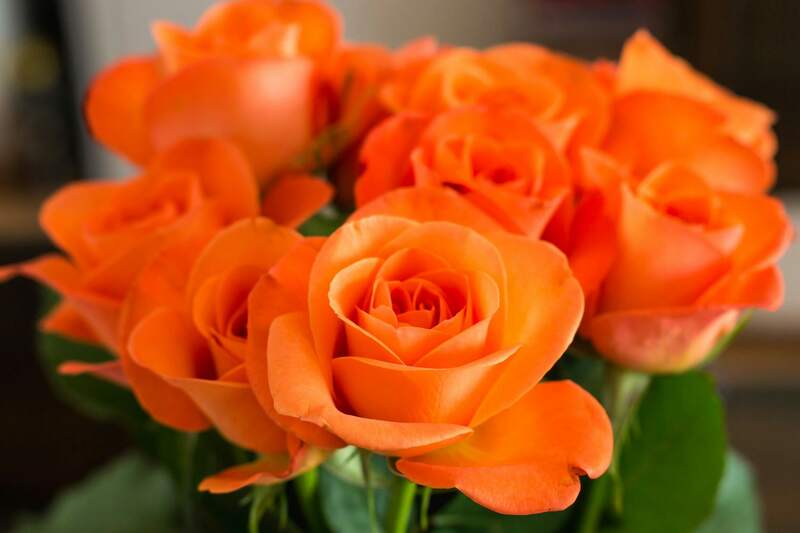 "Morden Fireglow" is a brightly colored rose that is somewhere between orange and reddish in color. It has double, cupped flowers and matte (non-glossy leaves). The copper-colored "Pat Austin" rose is one of the David Austin recommended varieties. It is named after David Austin's wife. "Wild Blue Yonder" starts out a mauve or reddish-purple (it is advertised as "lavender") and ends up with a deeper color. It never morphs into a true blue rose. It is a repeat bloomer. "Elle" is a good choice for those seeking a happy medium between a shocking-pink rose and a pink rose with washed-out color. It is relatively compact for its class. "Frankly Scarlet" belongs to the JP Ultimate Collection. It is a repeat bloomer with dark green leaves.